Planet Mars is one of the most mysterious in our solar system. The bright red star can be seen even with the naked eye in the night sky. Mars has attracted the attention of astronomers, priests and poets. Yet, many disputes and discussions arise about life on Mars (even the simplest single-celled organisms). Planet Mars still has a lot of mysteries, and to solve them, humanity will have to explore Mars in more detail. It is necessary to solve some vital issues for this to happen: develop good flight technology and take into account many important things, such as the effect of cosmic radiation on astronauts, calculate the flight path and how long would it take to get to Mars. 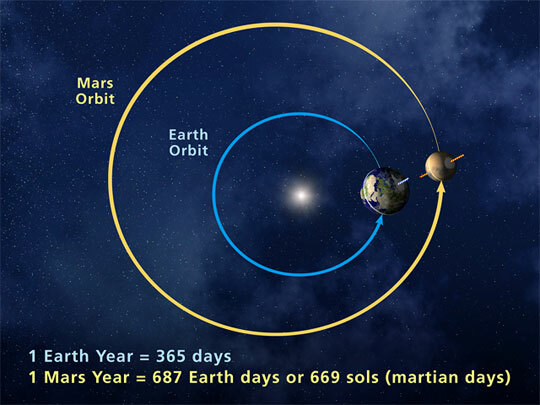 It’s not so simple, because the Earth and Mars are moving in their orbits around the Sun at different speeds. The distance between them is changing. The distance is minimal once every two years, since our planets approach each other for the shortest possible distance. This convergence in astronomy is called the opposition, and this is how it looks in the picture. A moment when Mars is closest to Earth. A spacecraft should be sent to Mars at the moment of opposition, when the distance from Earth to Mars is minimal. How long would it take to get to Mars? Such a trip would take from 150 to 300 days, taking into account the launch speed, the location of the planets and the flight trajectory. Moreover, fuel quantity is a very important factor as well; the more fuel, the faster the flight will be. NASA has made several attempts to send a shuttle to Mars. The first unmanned spacecraft to fly the Earth-Mars route was called the Mariner 4 and was sent on its way in late November 1964. He arrived at Mars on July 14, 1965. Mariner 4 made 21 detailed photographs of the surface of the “red planet”. These photos were the first of its kind in history. The flight to Mars took 228 days. Mariner 4 – the first spacecraft on Mars. The second flight (by the ship Mariner 6) was much faster. The ship left Earth on February 25, 1965, and after 156 days of flight, reached Mars on July 31. The next ship – Mariner 7 reached Mars in 131 days. 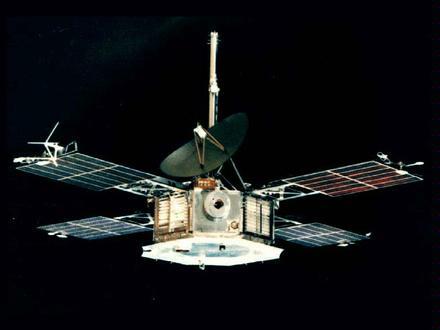 The Mariner 9 was the first terrestrial spacecraft, to enter the Martian orbit. The flight there took 167 days. How far away is Mars from Earth? Let’s calculate: the distance between the planets is approximately 54,6 million kilometers (33,9 million miles). The best spacecraft are able to move with a maximum speed of 20 000 kilometers per hour. So the flight from Earth to Mars should take at least 115 days. This is ideal, but reality differs from the ideal. Such a flight will take twice as long. Why so? First of all, the Earth and Mars don’t stay in one place, but move in orbit, and we can’t just launch a rocket from point A to point B. If we launch the ship to the place where Mars is now when it reaches to its destination the planet will be further in orbit. So we should aim to the place where Mars only appears. We’ll need to calculate the flight trajectory very carefully because the error can be expensive. Fuel (or rather its limitations) is another difficulty with flights to Mars. If we assume that the fuel in our spacecraft is unlimited, then we can simply fly to Mars directly, accelerating to the middle of the path, and then deploy all the nozzles and slow down. But this would require an incredible amount of fuel and, an incredibly gigantic ship to carry all this fuel. The leading scientists and designers of NASA are working on the issues of accelerating flights to Mars. Yet, a 250 day trip to Mars could be acceptable. Years ago Columbus and other brave sailors sailed for years on their ships. So astronauts would be almost like Columbus. Yet it’s not only about this, but about the fact that to send the first people to Mars on a spacecraft, we need to use a radically different type of fuel. In addition, space is not the most welcoming place for people, and it is important to think about how to protect astronauts from the effects of cosmic radiation. Reducing flight time will reduce the risk of a person being exposed to this radiation. Use of nuclear missiles, the basis of which is heating the liquefied fuel and then throwing it out of the nozzle at very high speed. The use of nuclear missiles could reduce the flight to Mars to 7 months. Use of magnetism. The technology of magnetism is based on the use of a special electromagnetic device that will ionize and heat rocket fuel, turning it into ionized gas, or into plasma, which will speed up a spacecraft. With this method, the flight can be reduced to 5 months. Use of antimatter. This is the strangest of ideas, although it may turn out to be the most successful. Antimatter particles can only be obtained in a particle accelerator. An enormous amount of energy is emitted when particles and antiparticles collide. That could be used in so many useful things. It will take only 10 milligrams of antimatter in order for the ship to reach Mars according to preliminary calculations. Yet it will be necessary to spend at least $ 250 million for production of 10 milligrams of antimatter. 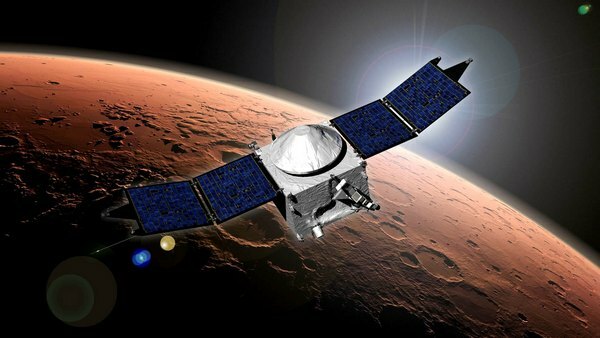 A flight to Mars using antimatter would take only 45 days! There is a real space flight program to Mars at the moment, called “Mars one”. So, when will humans go to Mars? 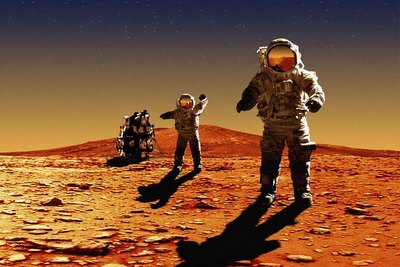 It is planned that the first group of astronauts will conquer Mars in 2025. New groups of settlers will be joining them every two years. Yet the most interesting thing is that for future Martian pioneers, their flight to Mars will become a “one way trip”. They will not be able to return to Earth due to the flight difficulties described above – due to the limited supply of fuel and the increased distance between our planets. In addition, some muscles will atrophy with time because of the long stay on the “red planet”. The fact is that the gravity force on Mars is much less than on Earth. A person with a weight of 100 kg, on Mars will weigh only 38 kg. Despite all these circumstances more than 20 thousand people have applied for participation in “Mars one” program. 1058 people were previously selected for possible participation in the program. Would you like to go to Mars? Another significant event took place quite recently – the launch to Mars of Tesla Roadster by Ilon Mask and his company Space X. This took place on February 6, 2018. Tesla launched into orbit the Falcon-Heavy rocket from the launch site at Cape Canaveral (USA). The car had a cosmonaut’s mannequin inside. It was supposed to send Tesla to Mars. Yet, the Falcon-Heavy rocket went into space at too high speed, and as a result, the flight path shifted.